Start reading Girl, Wash Your Face on your Kindle in under a minute. 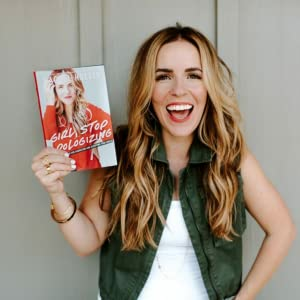 Rachel Hollis, host of the Rise and Rise Together podcasts, CCO of the company she founded, and mother of four wants you to stop thinking you have to balance it all and apologize for wanting it. In this book, each chapter tackles a different lie Rachel has believed, the authentic examples from her own life illustrating those lies, and then the methods she used (or wish she had used) to defeat those lies. These are big, vulnerable topics like 'I Should Be Farther Along By Now' and 'I Will Never Get Past This'. Rachel doesn't want this book to change your life. She wants you to read this book, and then feel strengthened so you change your life. 'Girl, Wash Your Face is a dose of high-octane straight talk that will spit you out on the other end chasing down dreams you hung up long ago'. Jen Hatmaker, author of 'For the Love'. 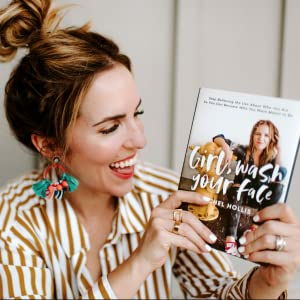 'In Rachel Hollis’ first nonfiction book, you will find she is less cheerleader and more life coach. This means readers won’t just walk away inspired, but they will walk away with the right tools in hand to actually do their dreams'. 'How can I get my mom to be more supportive? How do I convince my husband to watch the kids so I can workout? How can I get my boyfriend to eat healthy with me so it’s easier for me to stay on track? How can I get my dad to support my decision to change majors? The best advice I know of in this situation is, if you want to change someone else, change yourself. People change because they’re inspired by someone else’s example, not because they were coerced into doing it. People change because they see in someone else what’s Probable, not because someone harasses them over and over about what’s Possible. You will never change someone else unless you find the courage and the will and the resolve to change Yourself. You will never do any of those things if you aren’t willing to let people be inconvenienced by your journey'. An excerpt from Girl, Stop Apologizing. I love the realness of the author. I wish I had of read this book when I was 18. The messages in this book resonated with me so deeply. In fact, after reading it myself I bought 5 extra copies for my daughters and step daughters. 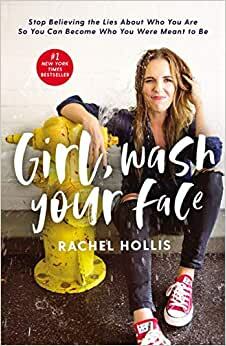 I have also not stopped raving about it to my friends and one of my friends is going to include it in her book club reading.I wonder how Rachel Hollis got to be so wise at such a young age. 1.0 out of 5 starsUtterly chaotic writing. This book was a blithering mess full of hypocrisy and trite wanna-be go-getter nonsense. It was painful to read, quite frankly. Don’t waste your time. Everything she says, you’ve heard it all before. An inspirational book, she has worked through so much stuff . There was some really good points to take away. She would be a great person to sit down and chat too. Honest encouraging challenging raw beautiful. Everyone needs to read this, wherever you are in life learn to stop telling yourself lies and believing them. Learn how to wash your face & keep on. 5.0 out of 5 starsAhmazing!!! 5.0 out of 5 starsYou need to read this! Love this book! Just read it now you will find something that impacts you and gets you to say YES! Its encouraging, motivating and gives you skills that you can use in everyday life!